Sorry for all the rhyming, but it just felt right! 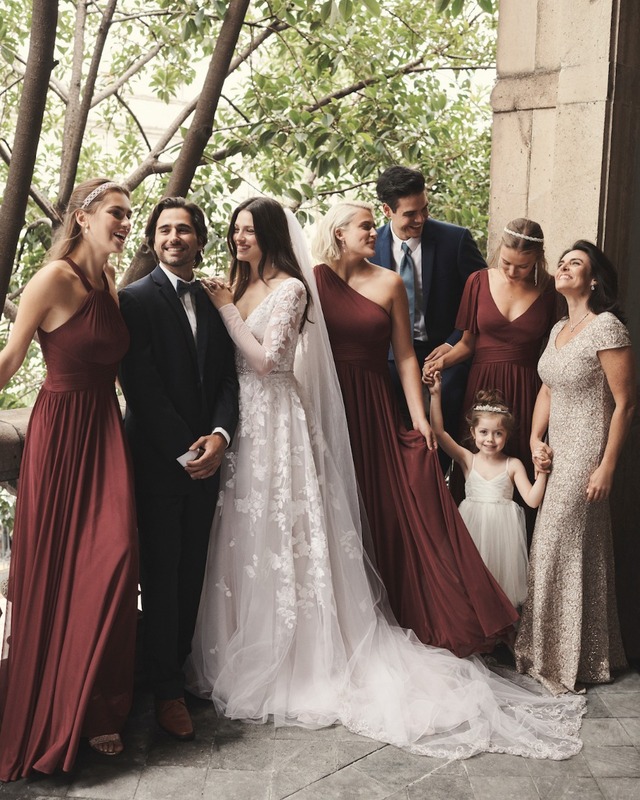 If you haven’t noticed, David’s Bridal has been doing the most lately - by continuing to honor its legacy in dressing women for all of life’s special occasions (their weddings, arguably being the biggest!) and debuting a brand new ad campaign, #RewriteTheRules, that highlights all types of brides. 👏👏👏 The brand has always been known for outstanding value, fashionable designs, and the ease of one-stop shopping, but now it’ll also be recognized for its inclusivity and we’re so here for it. In the midst of all this milestone momentum, the retailer, which outfits one out of every three US brides who walks down the aisle, is reopening its Costa Mesa location. They’re not letting its new look get overlooked, so they’re hosting a Grand Re-Opening event on January 24th, and we’ll be there with bells on. Okay, maybe not with bells on, but we’re hoping we’ll be there to witness some bells ringing (it’s a DB tradition for brides to ring a bell when they’ve said ‘YES’ to the dress, so sweet, right?!). What’s been made over in Costa Mesa? A fresh look and feel with interior updates and new fixtures throughout. An improved layout for even more convenient one-stop shopping. 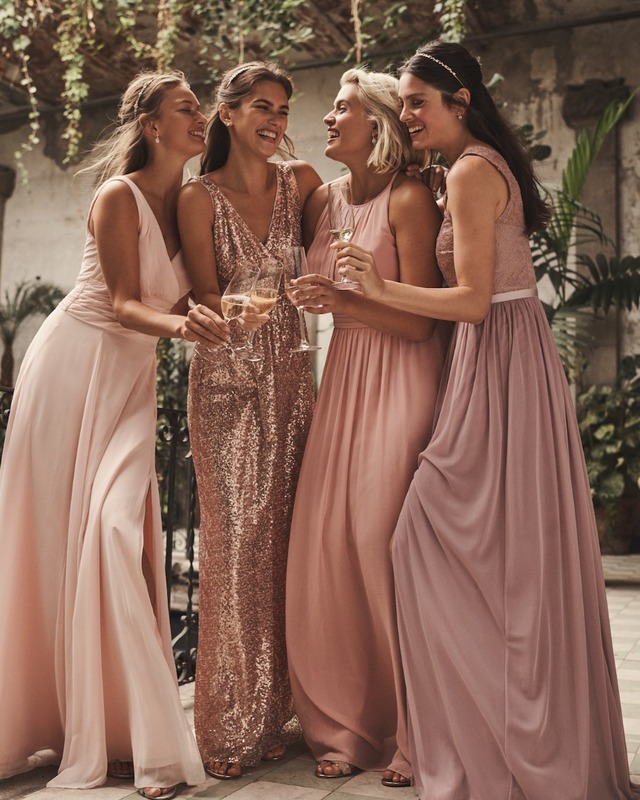 An expanded social occasion department – more dresses for events surrounding the wedding (think engagement parties, bridal showers, post wedding brunches, etc., guest of wedding, and various other special events. We did just get into awards season, and with DB having so many amazing and affordable celebrity looks, it’s a great place to shop some A-list-level finds for your spring soirees! The store is now more ADA-friendly with larger ADA fitting rooms and updated restrooms. Love love loveee this! We’ve said it before, but we’ll say it again: one of the first things that should be on a new bride’s to-do list is to sign up for a bridal fair and lean into your new title as #futurewifey. David’s Bridal can help you ease into it, especially since their upcoming event will roll out new Spring 2019 collections and afford brides (and their guests - bridesmaid trip-worthy, for sure!) the opportunity to meet with local vendors and enter to win lots of prizes!! David’s Bridal’s NEW Spring 2019 collections have arrived, so you’ll get the first look at their exclusive assortment of wedding dresses featuring a broad spectrum of silhouettes, lengths and styles. Their sizes span from 0-30, with petite and extra length iterations, so every woman can find the dress of her dreams. David’s Bridal also offers a full selection of social occasion dresses, prom and homecoming dresses, flower girl attire, communion dresses, and outfits for mothers of the bride and groom. So, even if you’re not a bride or bridesmaid, you can snag something special! Once you’ve tried some dresses on and streamlined your aisle-style vision a bit more, you can tackle the rest of your head-to-toe look, from shoes and handbags, to jewelry and headpieces. They’ll be styled throughout the fitting rooms to make it easier to accessorize. And you can’t forget about the foundation for every bride’s flawlessness, her undergarments! Bras, slips, and shapewear are stacked in-store, and expert in-house alterations are available to make sure your dress is a perfect fit. Not on dress detail yet, but starting to think about popping the question to your squad? DB offers an assortment of gifts for you AND your bridal party, such as robes, totes, tanks, tees and loungewear, mugs, and more! Thursday, January 24th from 6-9PM @ the refreshed Costa Mesa David’s Bridal (901 South Coast Drive Metro Pointe at South Coast Costa Mesa, CA 92626).We’d say do more things that make you forget to look at your phone, but if adding this to your calendar is the only way you’ll remember to go, then please do!! And while you’re there, make sure you take lots of pictures (a bride needs inspo always) and add @davidsbridal / #davidsbridal to your posts! We partnered with David's Bridal to share details on this exciting grand reopening event in Costa Mesa. As always, thank you for supporting our sponsors!